Any of you who have ever been a tourist will understand how fun it is to get to visit our nation’s gems. 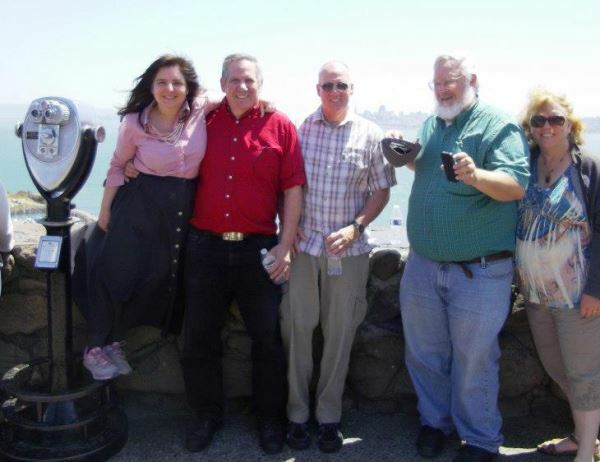 This photo was taken when we were on a trip to study the American lands near the San Francisco Bay. From Left to Right, me, my husband, Bernie, Brother-in-law, Scott, Brother-in-Law, Mike and Sister-in-law, Heidi. We all like to have fun. Having public parks and forests fill that need, but what happens when the government doesn’t know when enough is enough? We are fortunate that Missouri seems to be managing the surplus land just fine. The Department of Conservation is well funded and we appear to have a proper amount of public land for people to enjoy. 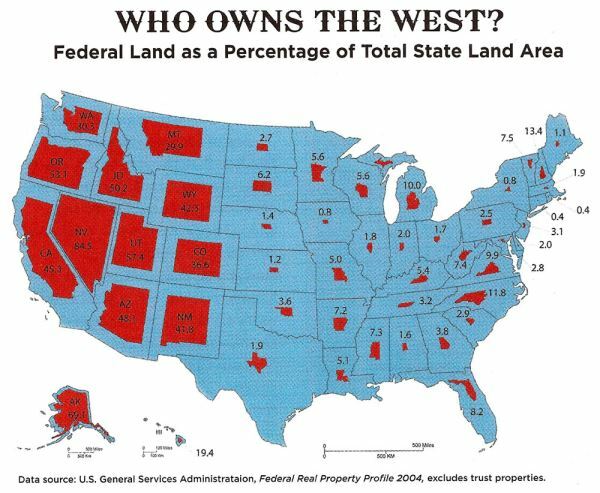 Now the National Government is hoarding more than half of the land in the West. 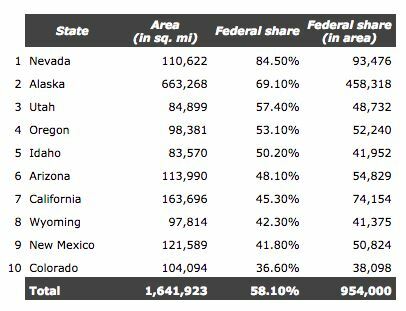 That translates into 640 MILLION ACRES of land. We all know that parks are a lot of fun, but when you get into the millions of acres, it’s too much for anyone to use. A family living in a normal sized house might like the idea of a bigger house, but if you were trying to live in a mansion the size of your state capitol, it would be an overkill. You could lose your kids in there and would never have time to properly clean it, use it or enjoy it all. As a result, If the states have control of their own land, they can take responsibility for whatever happens to it. The state legislators will be accountable to their constituents and the highest and best use will naturally prevail. Instead of doing the right thing, the National Government is giving a donation of “Shut Up” money to the states to thank them for leaving the land in the control of the National Government. By the way, money to pay them off is coming from states like ours (Missouri) although our taxpayers derive no benefit. Like being addicted to drugs, many states are addicted to getting a bonus of taxpayer’s dollars, so now the eastern states are subsidizing the western states. It’s like putting these states on permanent welfare. The consequences are worse than just the waste of over two billion of taxpayer dollars. What would happen if you went on vacation for 20 years and left your house empty? It could become overrun by rats, spiders and the front yard would be overgrown with weeds. That’s why 2015 was the worst year on record for wildfires. If you built a pen to hold 20 cows and then put 1,000 cows in it, the cows would get sick and die. That’s what happened to the forests. Since the national government owns more than half of the land, it won’t allow the states to control their own logging industries. Left to grow up wild, they are becoming dangerous. Here’s my advice: The Congress can pass a law to amend or repeal any law at any time it wants to do so. We have a different Congress now. It can do whatever it wants to correct the wrongs of nearly 40 years ago. The States shouldn’t have to beg for what belongs to them. It is up to the individual congressmen to represent their states. This should be their fight. Where’s the fight? I’m calling on all the elected officials to do their jobs. Protect and defend your constituents and the Constitution! Listen to our show this week to hear the details of what is happening to return the lands to their rightful owners. 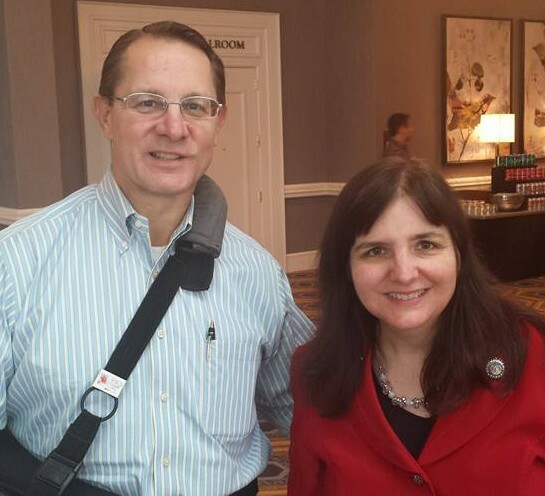 Here is a photo of me with Ken Ivory at the Wallbuilders Pro-Family Legislator’s Conference last month. Please listen to our show this week to learn more about what we can do to help our Country. 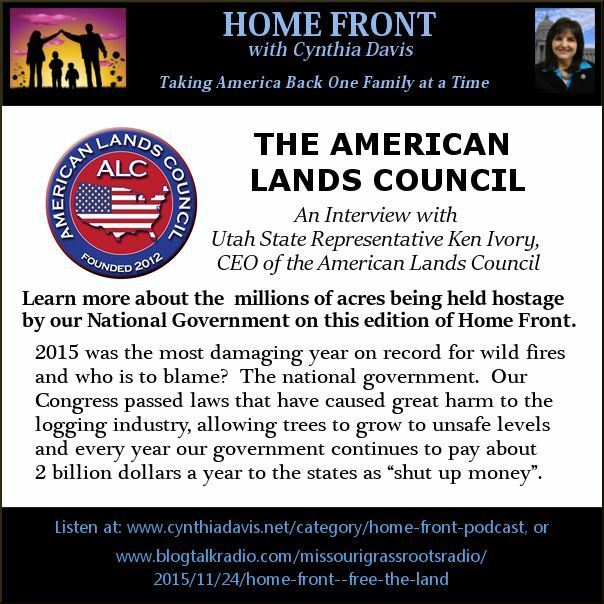 You can also learn more by going to http://www.americanlandscouncil.org/get_the_facts. 2.) Even if you don’t live in a western state, you need to understand what is going on because your tax dollars are paying for this. The western states need to wake up and take responsibility for themselves. 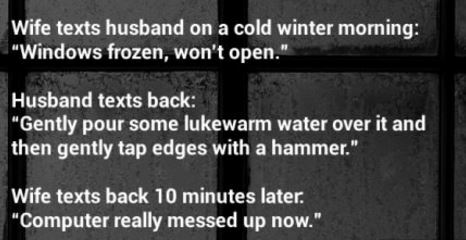 Most are ready to do this. Have a conversation with your members of Congress and ask them what they are doing about this problem. Even if you don’t live in a western state, you will learn a lot about their attitude toward the states by asking the question. The primary problem with the commentary above is the overriding assumption that “If states have control…the highest and best use [of erstwhile public land] will naturally prevail.” Here’s the address for a study conducted by Harvard University re: corruption in government on a state-by-state basis. http://ethics.harvard.edu/blog/measuring-illegal-and-legal-corruption-american-states-some-results-safra You will note that the research demonstrated that in most states, the legislature was commonly to extremely corrupt. Just a little bit of googling will demonstrate that plenty of other research supports these findings. So the above proposal would remove management of public lands from BLM (an agency where employees would be removed/possibly jailed if they took payoffs from private sources) and hand over responsibility to state legislatures where members are demonstrably corrupt (and there is little threat of punishment for such behavior). What could go wrong here? If the state’s rights folks win this argument, get ready for condos ringing the rim of the Grand Canyon, logging at Glacier National Park, and a theme park in Yosemite. Cliven Bundy may as well become the “land use” czar. Hello. I think it is great what you are doing for our country. Thank you. The map that you show of federal land owned in the United States is from 2004. Are there any recent maps? There is also another BIG problem arising from our current government. I agree that letting a few refugees, who are escaping from people who will harm them, come to our country. The fact is most of them are males between the ages of 18-40 who pray to a false prophet muhammad and are in the first stage of jihad, which is detrimental to our Christian citizenry. Please research this topic because soon it will not matter because most of us will be slaughtered by these islam persons who don’t even believe that Jesus was the Son of God. Here is one link to begin this research. http://www.answeringmuslims.com Jihadists fighting for ISIS (the Islamic State of Iraq and Syria) claim that they are following the commands of Allah and Muh.. Thank you again for sticking up for the Bundy’s and Hammond’s and every American who is getting and are going to get duped by our un-American president and his likewise un-American cronies.